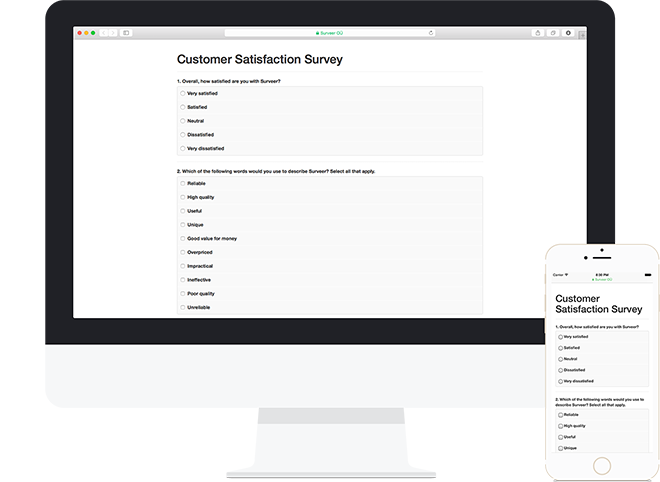 Create your survey using our easy-to-use online form builder at the desktop or on the go. 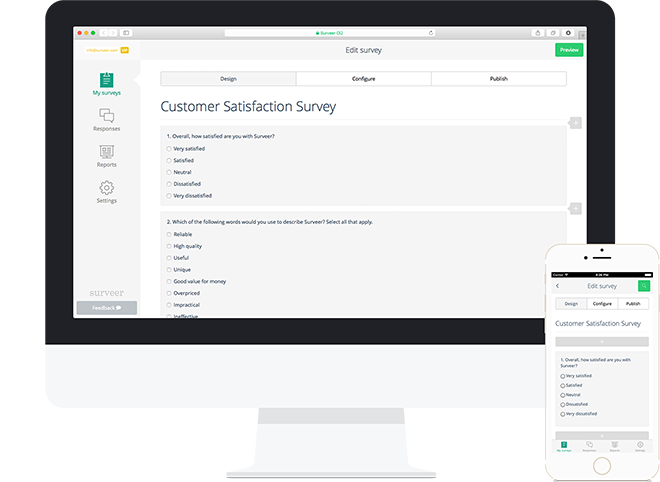 Get responses from mobile, tablet and desktop users with our user-friendly survey tool. 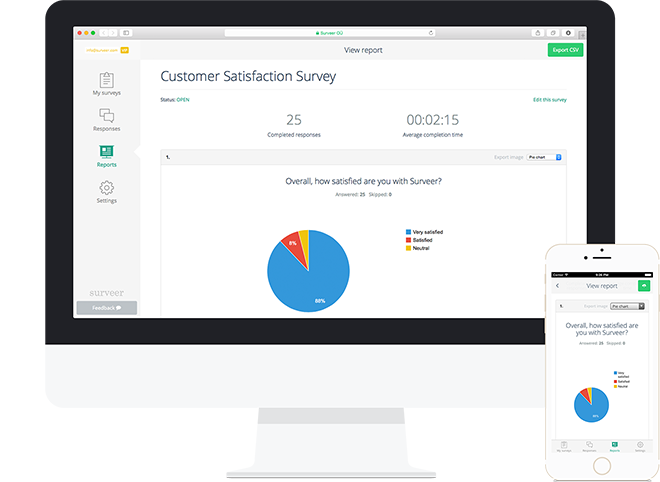 View responses in real time and use reports with different charts to study results. You can upgrade, downgrade, or cancel at any time. Prices are VAT exclusive for EU members. This is it! Our software does not require any app installation. Just open the browser on your mobile device and go to the login page. For a better experience save our web app to your home screen. When you choose a paid plan, you can choose a monthly or annual subscription. Subscription is renewed automatically until you downgrade to the FREE plan. You can change your plan at any time. Subscriptions will automatically renew until you cancel the subscription by downgrading to the FREE plan. If you downgrade to a lower plan, the plan will change immediately and you lose the features of your previous plan. We recommend downgrading at the end of the subscription cycle. How does the FREE plan responses limit work? Responses are still being collected after reaching the limit, but you will see only the first 150 if using the FREE plan. After you upgrade your plan you will see all responses and are able to export them (among other great features). We accept Visa and MasterCard for both monthly and annual plans. Invoicing is available only for annual plans. No, we do not offer refunds under any circumstances. However, you can cancel your subscription at any time. Don't hesitate and send an email to support@surveer.com.